Most of us use multiple audio devices. Sometimes its a headset, at other times it’s the default laptop speakers, and at other times it might a speaker system connected to your docking station or even a webcam microphone. 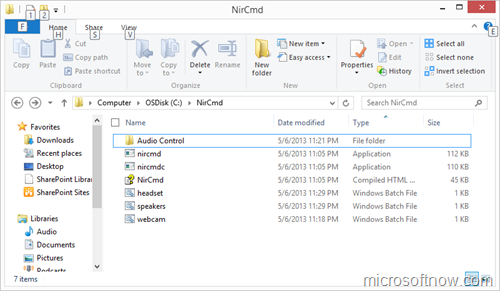 Unfortunately, switching between the various audio devices can be tedious as you need to change the Windows “default device” or the “default communications device” each time for both recording and playback. Today we’re going to see how you can create simple shortcuts on your taskbar that let you effortlessly switch between audio devices. Note: I have tried this on Windows 8, but I am pretty sure it will work on Windows 7 too. 2. 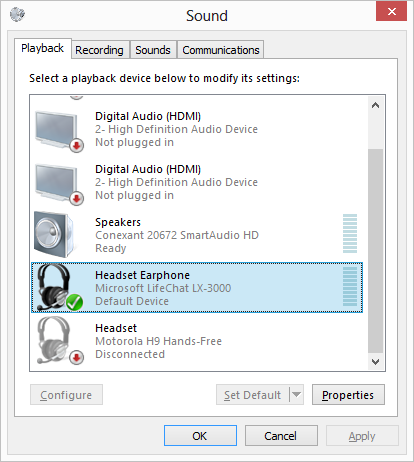 Open your Windows Playback devices (Right click on your speaker icon on the taskbar). Note the names of each of the devices you need to change. You can click on Properties to view the correct name. You will need the exact same name for the NIRCMD command to work. If you have two devices with the same name (example: “Speakers”) you will need to rename one of them so that they are unique. Click Properties if you need to rename devices. Note the names in a text file for easy copy-paste. 5. Use similar commands as below for each of the BAT files. Use the device names you copied earlier. The “1” in the NIRCMD command line argument indicates that the device is set as “Default Device”. 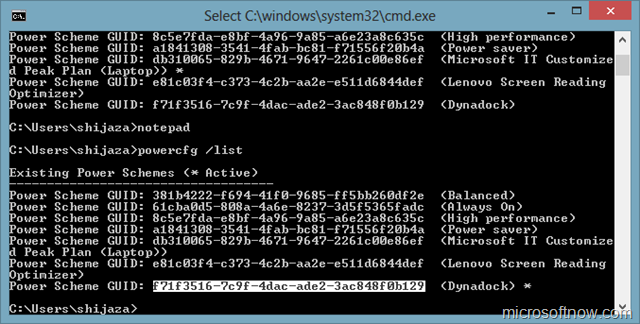 A “2” in the command indicates that the device will be set as a “Default Communications Device” (useful for Skype, Lync etc). The device name string should be EXACTLY the same that is defined in Windows. 6. 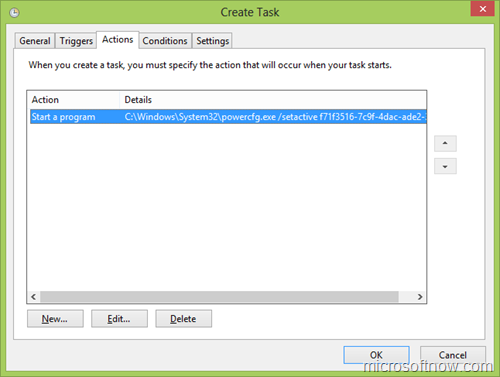 Test each batch file by double clicking on them and observing if the default device changed. 7. Create a folder "Audio Control” for your custom toolbar. Your NIRCMD folder should look like the below now. 7. Inside the Audio Control folder, create three shortcuts to the batch files that you created in step 5. Click Change Icon in the shortcut file properties if you want to change the icons like I have done. 8. 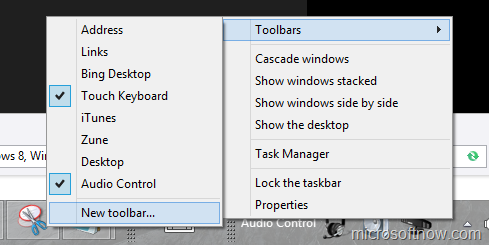 Right click on an empty space on your taskbar and choose New toolbar. 9. Choose the C:\NIRCMD\Audio Control folder. You now have an awesome new Audio Controls toolbar. 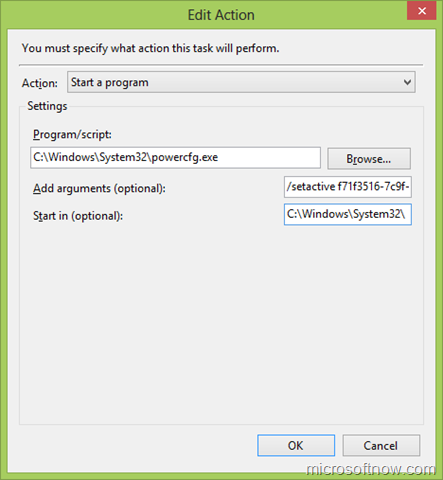 I use a Toshiba Dynadock u3.0 to connect my Windows 8 laptop to dual displays, printer, mouse & keyboard, webcam, etc and sometimes when I resume my computer from a Standby state, the displays do not work and I have to restart the computer. 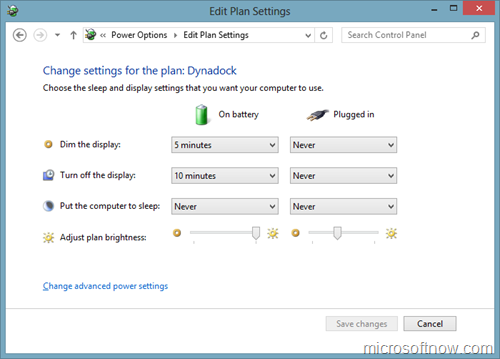 One workaround is to unplug the Dynadock before you resume the computer from standby and re-plug it in once the computer has resumed. An even better workaround is to create a custom power plan that does not cause the computer to go to standby when connected to AC power. However, if your computer is managed by an organization they might enforce a “preferred” power plan through group policy, which causes your custom power plan to be overridden, leaving you with the same problem. Today we explore how we can create a custom power plan and create a simple scheduled task that will ensure your custom power plan remains enforced regardless of your organization’s enforced power plan. Bear in mind, that depending upon what privileges your administrator has provided you on your desktop, this method may or may not be effective. 1. Create a custom power plan that does not put your computer on standby. Set this as your current power plan. I’m calling my power plan Dynadock. 2. Open the Command Prompt and type powercfg /list. Note the GUID of your Dynadock power scheme (highlighted below). You will need this in the next step. 4. 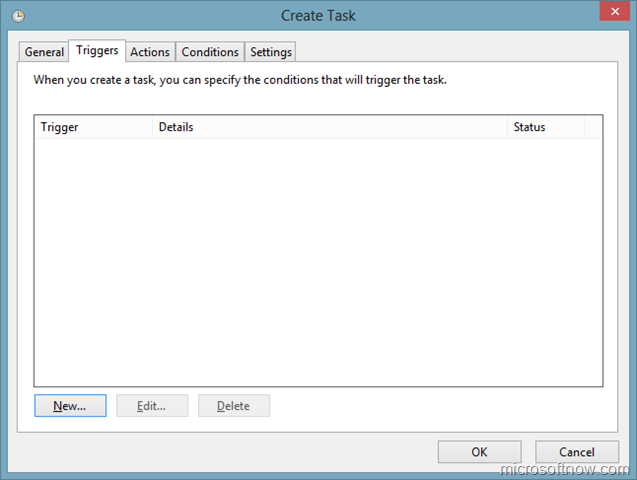 Click Create Task on the right pane. Review the other tabs and make changes if needed, the default settings should be ok.
Supply your username and password when prompted and you are all set! What you have just done is creating a scheduled task that runs every hour to change your power scheme back to your own custom power plan, even if the system reverts back to the “preferred” plan. 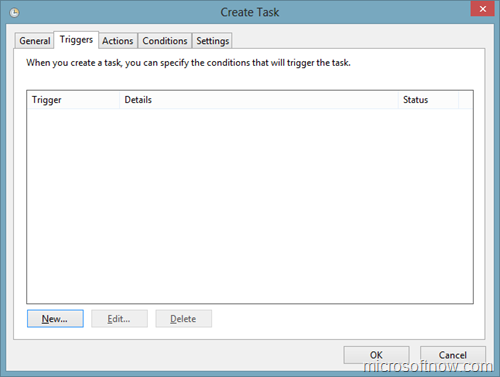 Update (27-May-2013): If you use your Windows Domain account for the scheduled task, the job will stop running once your change your password. 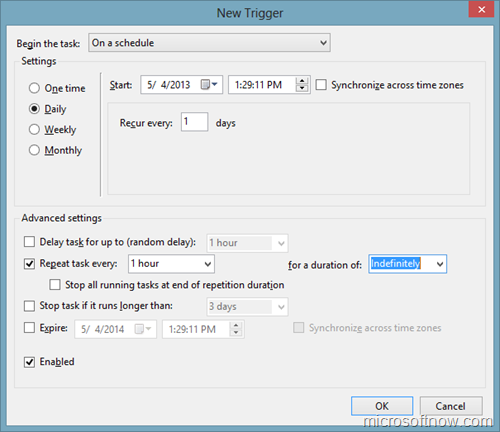 A simple way to fix this is to open Task Scheduler whenever you change your password and update the new password, or simply use a local account with admin privileges which will not be required to change password by group policies. 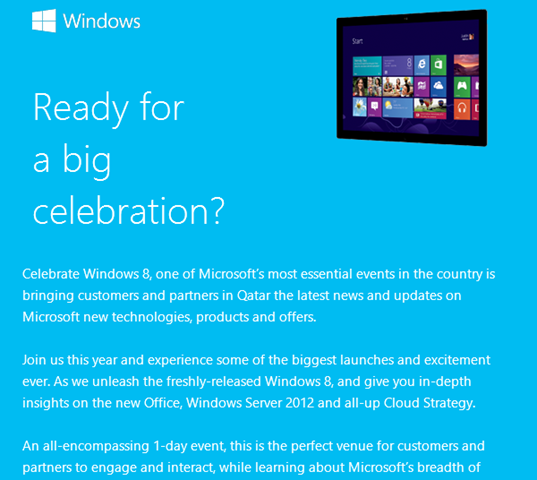 And yes, we will be talking about Windows Server 2012, too! Visit us at the Landmark mall this weekend! Update: The File History feature is available on Windows RT and Surface RT devices too. You also have the option of using the built-in microSD card on your Surface device. I have an Iomega Network Attached Storage (NAS) at home that I use to keep backup copies of all my data. 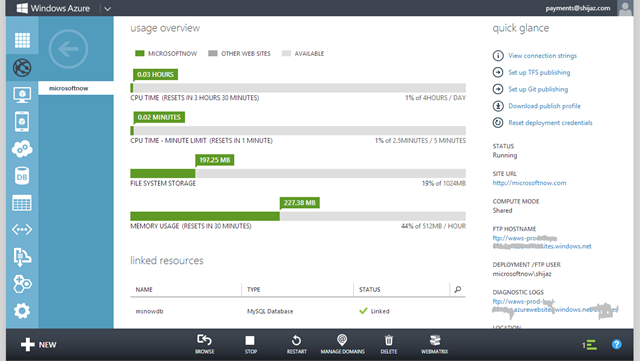 The NAS comes with bundled software named Iomega QuikProtect that automatically copies my data to the NAS whenever it changes. After I upgraded to Windows 8, I noticed the Iomega QuikProtect is not compatible with Windows 8. After a while of trawling the iomega forums, I discovered that Iomega has confirmed that their QuickProtect software is not compatible with Windows 8 and that they will not be building a version that is compatible with Windows 8. 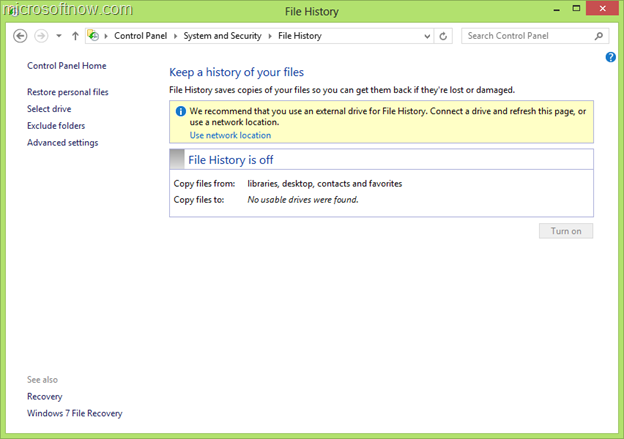 They (and I) recommend using the new File History feature in Windows 8 instead. 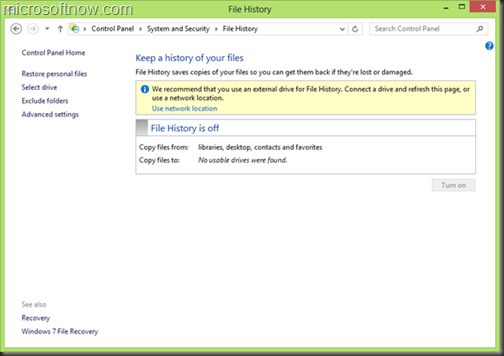 File History, once set up, automatically saves copies of your files to a network location or external drive. 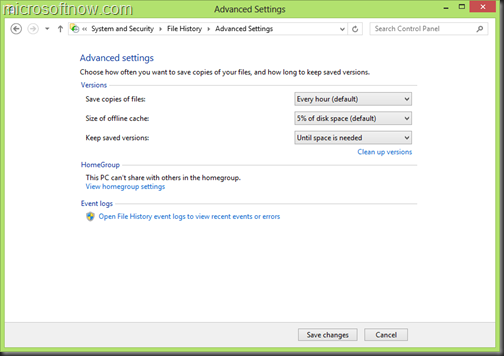 You can use the same tool to restore your files from the saved location. 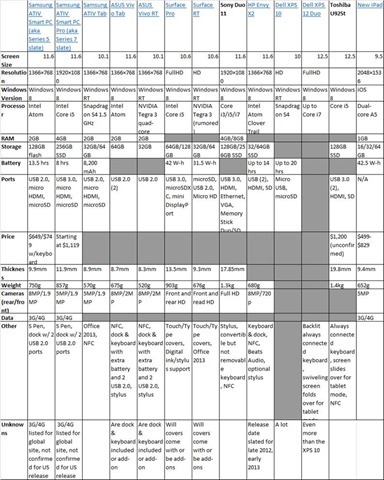 Open Control Panel > System and Security > File History. 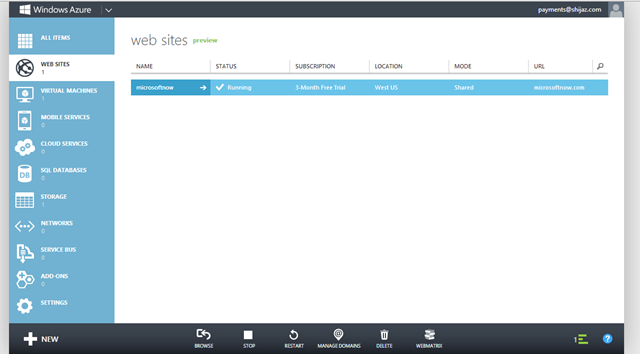 Choose Use network location and select the share on your NAS that you want to use for saving your data. If you have an external hard drive, you can choose that instead. 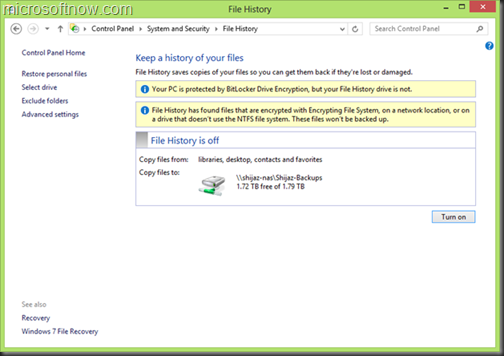 Within moments, you are ready to backup your stuff to the specified location. You can click Turn On and the process will start. You can also check the options to see if you want to change the defaults. 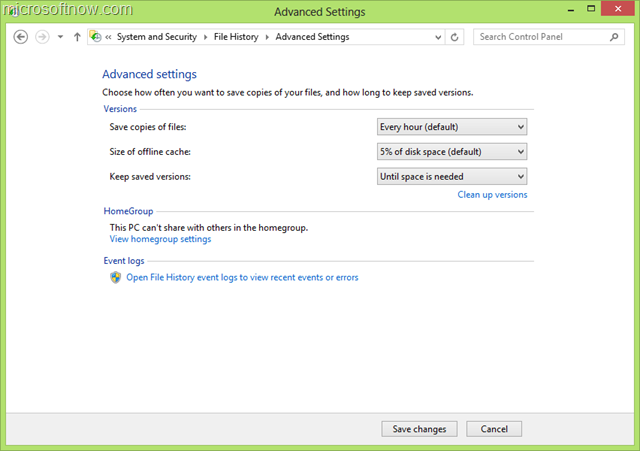 Click Advanced Settings to set up how often version copies should be made, size of the offline cache and how long the saved versions should be kept. You can also choose the Exclude Folders option to prevent certain folders from being copied. 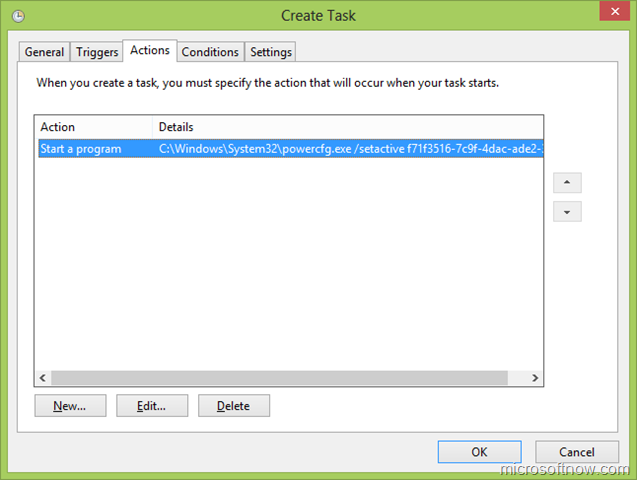 This is especially useful if you use Hyper-V on Windows 8 and you do not want the *.vhdx files to be copied over. Our partner LinkDotNet has developed Service Manager clients for mobile devices. 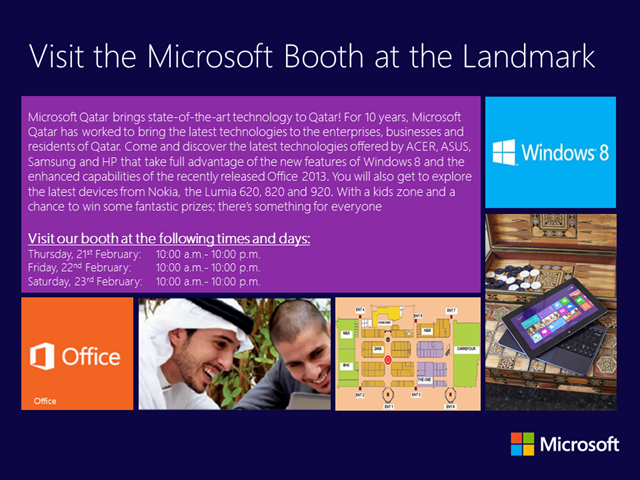 The app is currently available for Windows Phone, Windows 8 and Apple iOS. 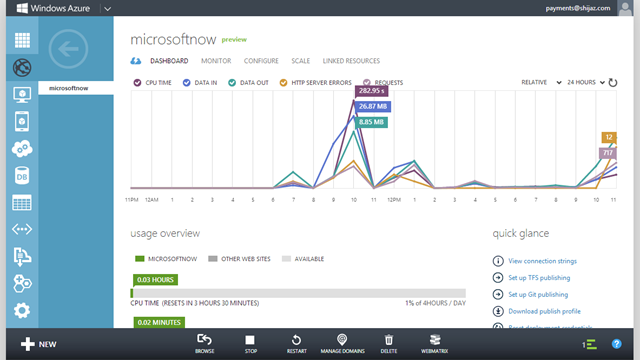 Our partners LinkDotNet and ExpIT both offer Arabic versions of the System Center Service Manager portal. 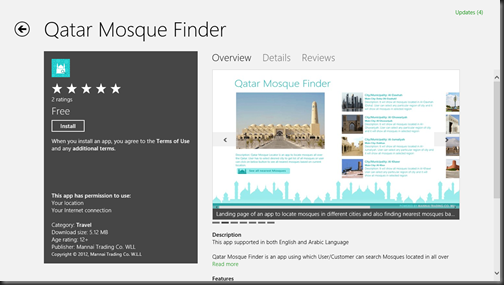 The Qatar Mosque Finder app is now available on the Windows App Store. This free app was designed and developed by Mannai Trading Company WLL. Kudos to Antony Sebastian and his team. 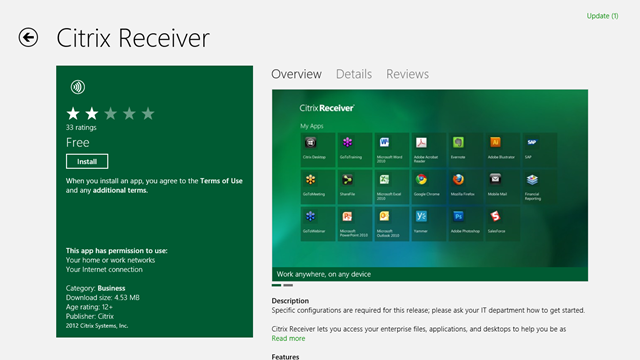 The Citrix Receiver for Windows 8 and Windows RT are available now on the Windows Store. 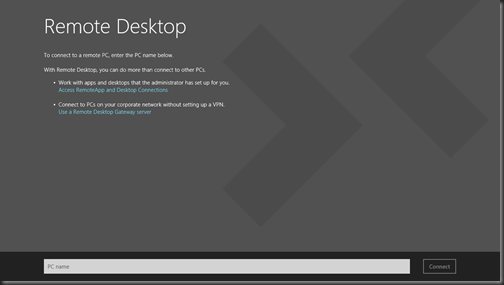 This 4.53 MB download lets you access your Windows VDI session from your Surface, tablet or slate device or computer running Windows 8 or Windows RT. This potentially enables new scenarios for IT to support BYOD scenarios in today’s world where the line between work and home devices begin to blur. 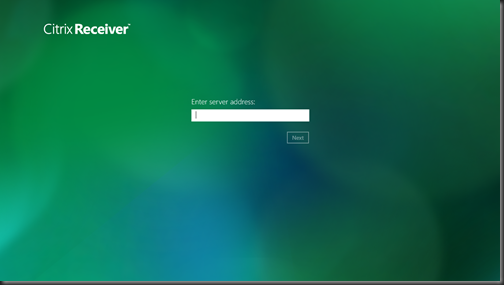 Users can work on any Windows device they choose, regardless of whether it runs Windows 8 or Windows RT and still be able to connect securely to their corporate managed Windows desktop session, which is governed by their organization’s IT policies. On the device itself, they can install and run their favorite apps, and store personal pictures, media and files. The Citrix receiver is also available for non-Microsoft platforms, enabling access to Windows desktops from heterogeneous platforms such as IOS, Android, etc. Also noteworthy is the fact that the Remote Desktop client from Microsoft is also available with Windows 8 and Windows RT, allowing you to connect similarly to desktop sessions without Citrix. 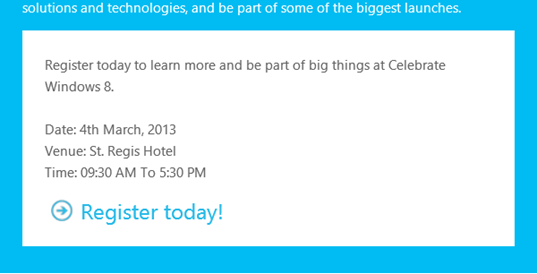 Surface is Microsoft’s highly anticipated tablet, launching on October 26. Surface will be available for purchase beginning Oct. 26, 2012, at all Microsoft Store locations in the United States and Canada, including in all 34 new holiday stores. In addition, Surface will be available for sale online in eight markets across the world: Australia, Canada, China, France, Germany, Hong Kong, the United Kingdom and the United States. See Surface.com for more details. Surface with Windows RT will initially be available in three SKUs: a 32GB version priced at US$499, a 32GB version bundled with a black Touch Cover priced at US$599, and a 64GB version bundled with a black Touch Cover priced at US$699. A variety of accessories will also be available, including Touch Covers in five vibrant colors — black, white, magenta, cyan and red — priced at US$119.99 so customers can express their personal style (1). Customers will also have the option to purchase a Type Cover in black for US$129.99, which adds moving keys for a more traditional typing feel.